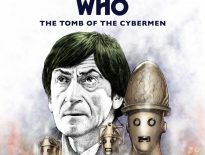 Target Books have enjoyed a welcome renaissance of late with the publication of a new set of novelisations of stories from the modern era of Doctor Who. 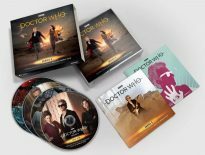 If you’re like me, you’ll have snapped these up by now and will have been spending your spare time studying how the writers have brought these tales to life on the page, new incarnations of the Doctor and all. 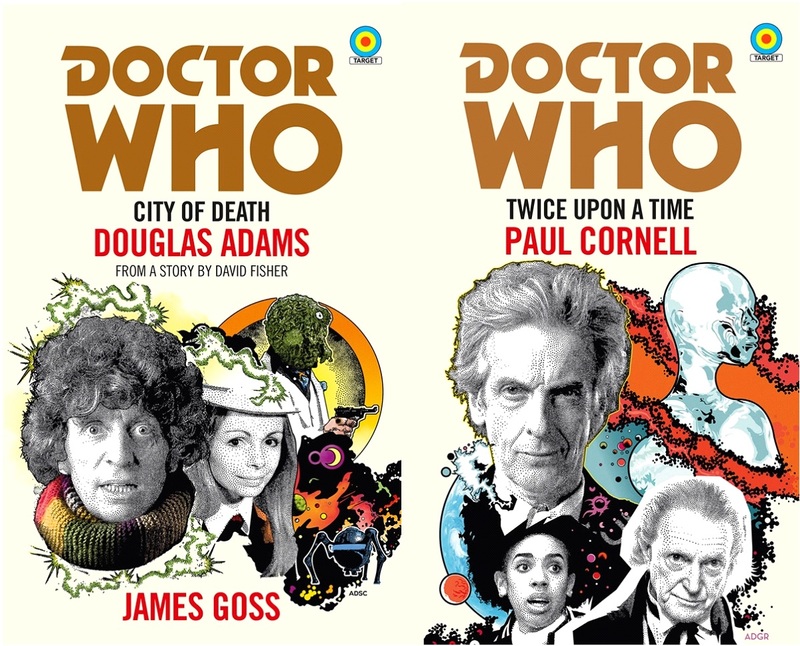 When it comes to Target, the covers have always been just as important as the content, of course, and Anthony Dry’s illustrations which echo the classic look of Chris Achilleos’s work in the early days of the range have been widely praised. But if there’s one thing about the new books which has upset traditionalists it’s the lack of the beloved Target logo on the books’ spines, meaning that these new tomes will always look somewhat out of place when lined up on the shelf alongside your classic era novels. 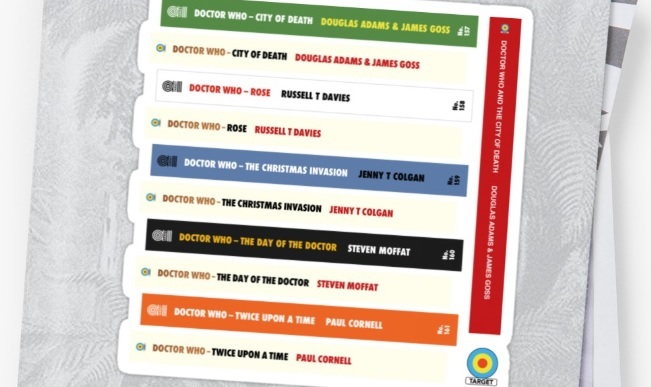 If you’re troubled by this oversight (and let’s face it, if you’re a Doctor Who fan then you surely will be…), you’ll be pleased to know that former Doctor Who Magazine editor (and accomplished designer of numerous DVD and audio covers), Clayton Hickman has come to the rescue by create a set of labels to make the new books fit in with the rest of your Target library and ensure you can get a good night’s sleep again. The labels are available from Clayton’s Redbubble store (you’ll need to order “Large” to get the correct sizing for the novels), which is a great way to waste an afternoon you should be spending doing something more productive than buying a T shirt bearing the legend ‘To Select Audio Navigation Press Enter Now’ or a cushion with Jo Grant’s message ‘Gone to get you a maggot’ scrawled across it. But seriously, if you’re looking for an item of clothing, a bag, some home furnishings, or pretty much anything that features the kind of obscure Doctor Who reference only your fan friends will understand, this is the place to go.